Halloween Horror Nights III marked the third year that the event overtook Universal Studios Florida. This was the second year that the car-eating, fire-breathing menace known as “Robosaurus” invaded the event. Picking up vehicles and eating them solid, Robosaurus was a four-story-tall beast that prowled through the streets of New York. 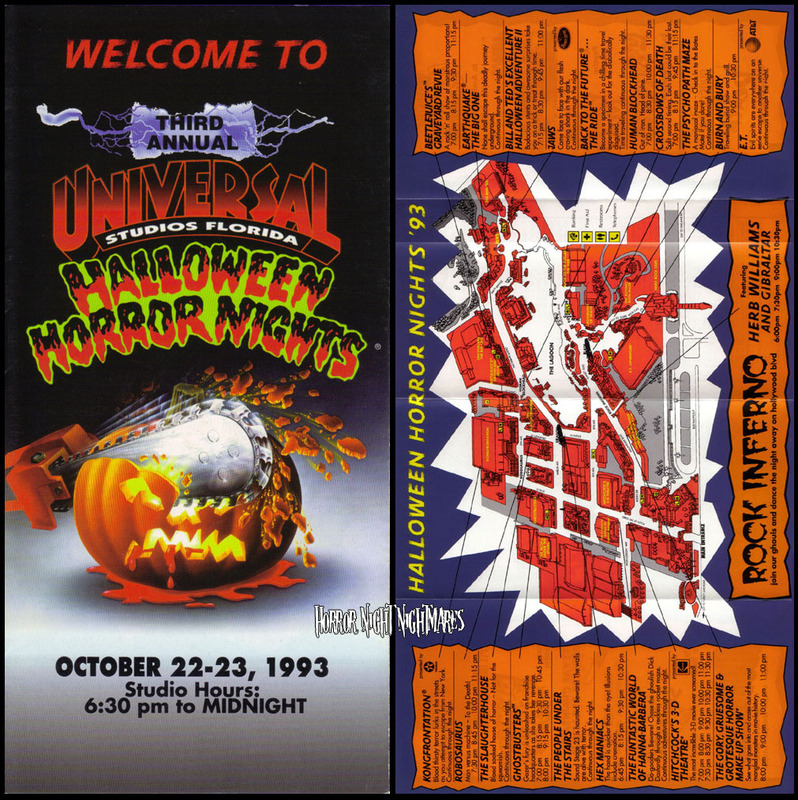 Halloween Horror Nights III was also the first year that the event saw three different haunted houses, two of which brand new concepts that had never been featured at the event. Sound Stage 23 is haunted. Beware! The walls are alive with horror. A maniacal maze – Check in to the Bates Motel if you dare! Blood-soaked house of horror – Not for the squeamish. Halloween Horror Nights III featured no Scarezones. Scarezones were not featured until 1994 at Halloween Horror Nights IV. Split second timing. Each shot could be their last. The hand is quicker than the eye! Illusions include cremation. Gut of iron. Head on pine. Join our ghouls and dance the night away on Hollywood Blvd.